More and more over the years, international students in Canada are likely to stay after graduation as permanent residents. Therefore, the possibility to get a Post-Graduation Work Permit is one of the many reasons why people choose Canada for their study experience abroad. 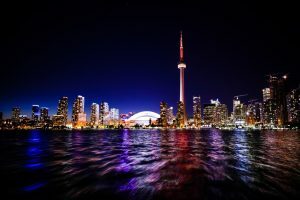 And the province of Ontario has great news for Ph.D. students that want to stay in Canada after graduating and immigrate as Permanent Resident in the country. 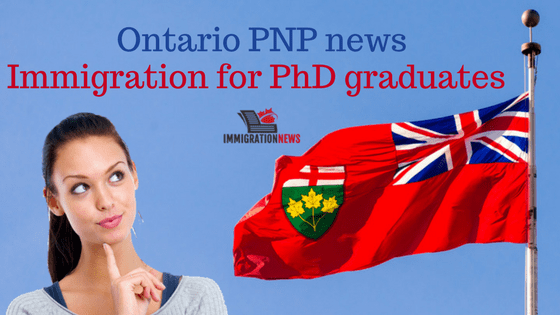 Ontario Immigrant Nominee Program (OINP) reopened an immigration stream for international Ph.D. students who studied in the province. That is part of Canada’s Provincial Nominee Programs (PNPs). Canada’s high academic standards and rigorous quality controls attract lots of Ph.D. students to the country and especially for the Ontario province, that offers a great variety of research opportunities. The provincial government didn’t inform how many positions will be available on this stream. But do its popularity, it is likely that it reaches the intake limits within a few days. Also, this program doesn’t require a job offer and it is not necessary that the applicant is residing in Ontario at the time of application. 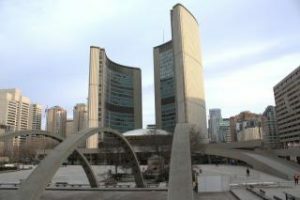 Successful applicants will enter into a pool, that is not related to the Express Entry program, but also allows candidates to receive invitations for Permanent Residency. Read more: Do Canadian universities prepare students well for the job market? Have legal status (for example Study Permit, Work Permit, Visitor Record) if living in Canada at the time of the application. If the candidate is living outside Canada during the time of the application, there is no need for a legal status in Canada. Why apply for Canada Immigration for PhD students in Ontario? Besides the opportunity to work and study in a high-standard country such as Canada, this program may grant you with Permanent Residency in Canada. And after some years, it is also possible to apply for Canadian Citizenship. As you know, becoming a citizen in Canada is now easier because of the latest Canadian Citizenship change. Most of all, Canadian citizens have lots of benefits. For example, Canadian citizens can apply for the Canadian passport and travel abroad with one of the most valuable passports worldwide. Also, citizens can be actively part of a great democracy such as Canada, voting, and standing for a political career. Read more: In-demand job opportunities in Ontario; Saskatchewan; British Columbia and Nova Scotia. Mercan Group has the experience and expertise to guide you through your application process. From picking an immigration category to giving you all the preparation needed, Mercan will be there for you. Also, preparing you for an interview with the Immigration Office and following up with the Visa. We would be delighted to be your representative in an International Mobility Program (IMP), a Federal Self-Employed Program, a Provincial Nominee Program or any other working program or studying program you pick. And, later, help you on your Permanent Resident and Citizenship applications. 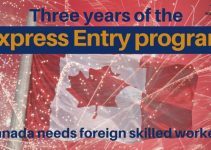 Or post-graduation work permit or to stay as a permanent resident after graduation, if you are already a student in Canada. Therefore, in all of these cases, you can count on Mercan Group of Companies to help you. Contact us.